Hi! Cindy here with a page I made using WonderFall Collection by NBK-Design, that has just been re-released at The Lilypad. 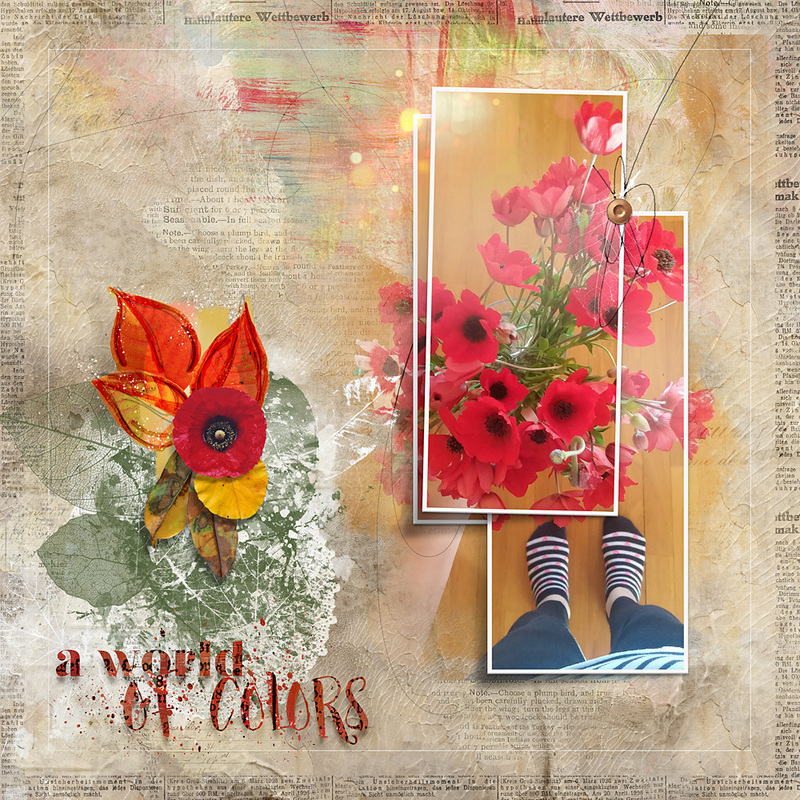 I love the rich colors and the amazing textures that Nicole created for this collection. 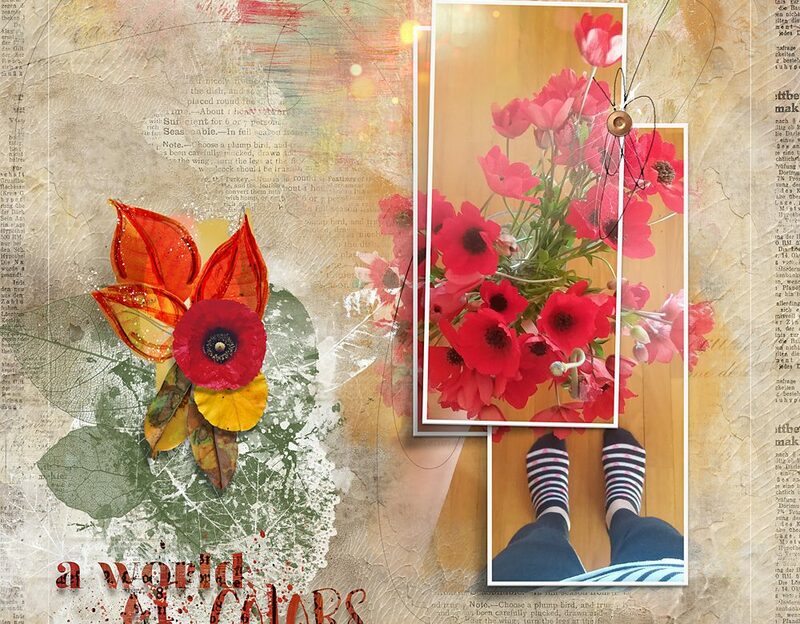 For my page I used a photo of fresh poppies I took earlier this year. I chose one of the weekly templates, and I really had a hard time deciding what styles to use, because there are so many! You can find WonderFall Collection at The Lilypad. Be sure to check out the new option to buy individual packs or money saving bundles via a drop down menu.